Toilet paper rolls have so much potential – and this is just one of many. If you’re struggling to keep all the cables together toilet paper rolls can help you. How about credit card guitar picks? If you’re a guitar player this one may be of particular interest to you. Why throw away the old credit cards when the can be perfect for inexpensive guitar picks? If you’re looking for an alternative to old window sheers, take the old photos slides and turn them into a window. 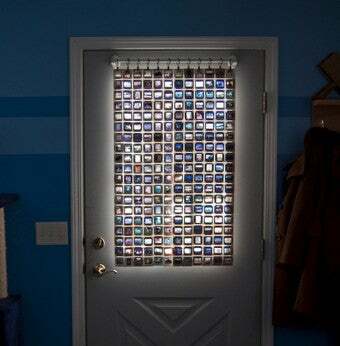 It will look cool and the light will still get to your room – but you will have more privacy. 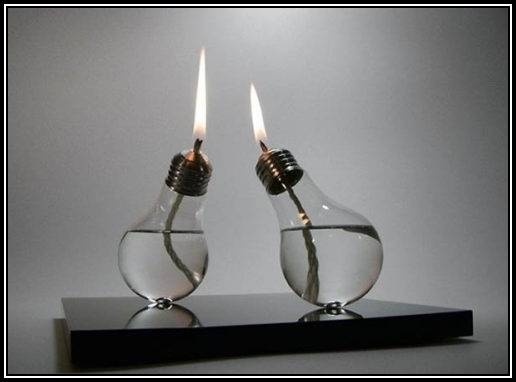 Old light bulbs also hold a lot of potential people don’t see right away. Next time you unscrew that light bulb don’t throw it away just yet. And here’s what you need to get your started. CDs are out of date, that’s for sure. And chances are you still have a couple of those CD holders no one need anymore. 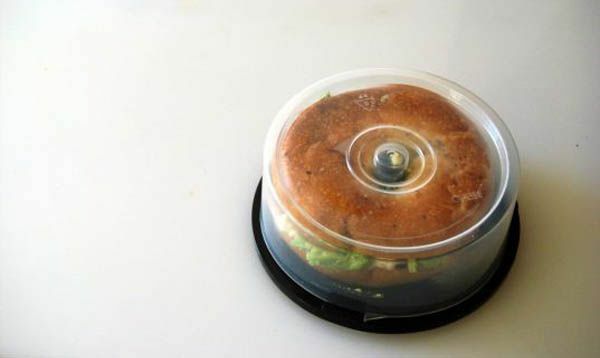 But instead of throwing them away, you can reuse them as storage for bagels. Old picture frames? Turn them into serving trays! Do you have old pictures you need to get rid of? Why not use the, as serving trays? No more ketchup in the bottle? Don’t throw it away just yet! If you’re a fan of pancakes, here’s a great way to use it as a pancake batter dispenser to make no-mess pancakes all shapes and sizes! Need a pair of wall hooks in your garage? 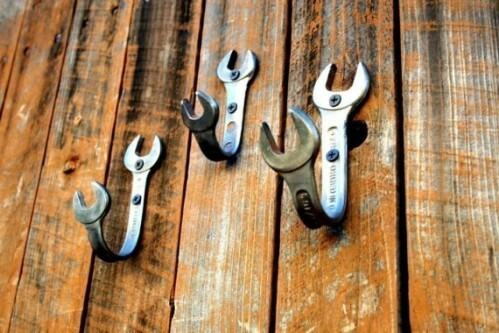 Instead of throwing away your old wrenches, turn them into wall hooks! Old suitcases can be reused and recycled in so many ways. 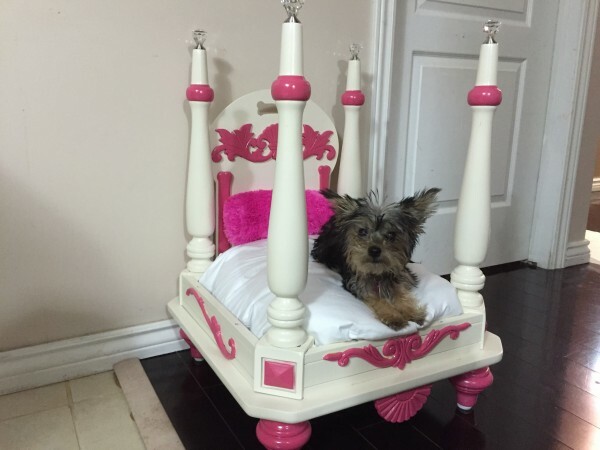 Once of them is to turn them into a pet bed! Create an amazing antique-looking coffee table from an old door frame!